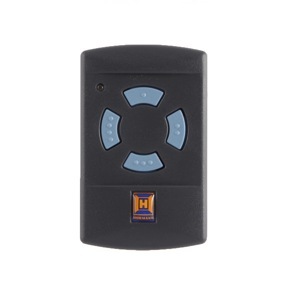 HÖRMANN HSM4 868 MHz is a high quality remote control that will take the monitoring of your electric gate and garage door openers to the next level. Programming HÖRMANN HSM4 868 MHz is the easiest thing in the world; you only need to follow the instructions supplied with your order! 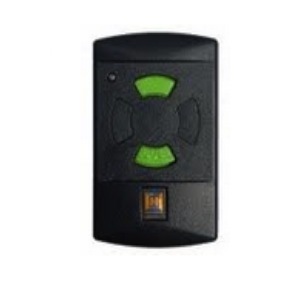 HÖRMANN HSM4 868 MHz is an ideal way to monitor your automatic devices including your gate and garage doors. It is programmed on a self learning mode. 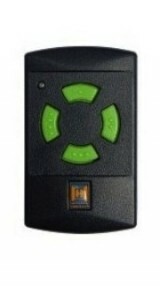 HÖRMANN HSM4 868 MHz comes in a black housing equipped with 4 blue buttons allowing you to open and close your devices in the easiest way possible. It works with 12V batteries in 868.300 MHz. HÖRMANN HSM4 868 MHz is a 4-channel sustainable transmitter, perfectly adapted for residential use. The keyring is no longer supplied by HORMANN. All HORMANN blue button, long and miniaturised or key ring models are COMPATIBLE with each other.